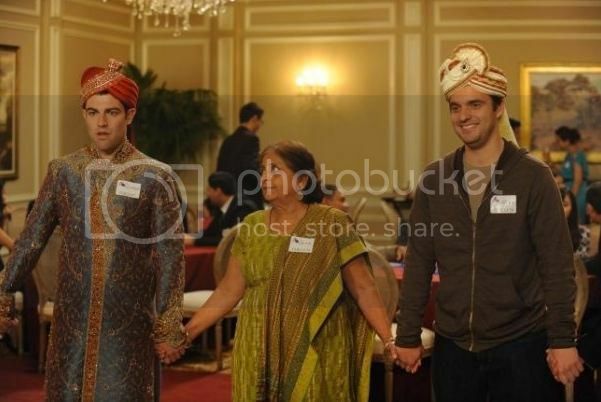 The audience got to witness a momentous milestone in Nick and Schmidt’s relationship in season two of New Girl: their ten year anniversary of being roommates. It’s hard to imagine living with Schmidt and his crazy personality traits for so many years, but it can be done. If you have an important friend-iversary coming up, you don’t want to be caught off guard when your friend sends you an e-mail similar to the one Schmidt sent Nick, asking how you should plan on commemorating this special friend-iversary. Check out the ideas below for some fun ways to celebrate! 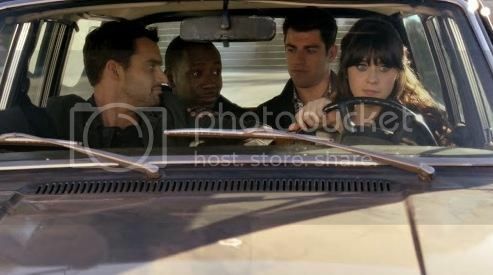 The romantic tension between Jess (Emmy® Nominee Zooey Deschanel) and Nick (JakeJohnson) escalates in the hilarious, quirky second season of “New Girl” — but will they ever hook up? 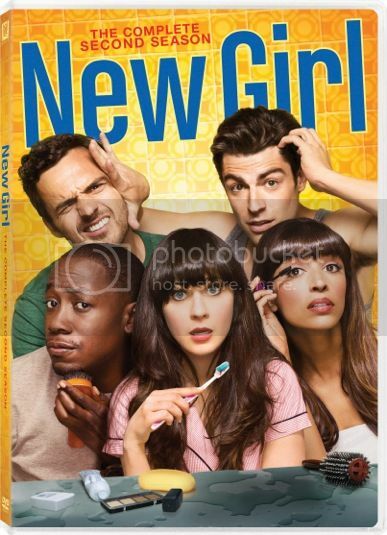 Meanwhile, Schmidt fails to be hip, Winston isn’t “prepared” for a hot date, and Nick faces a death in his dysfunctional family. While Jess does her best to replace Cece on a modeling job and a drunk Elvis impersonator at a funeral, Schmidt and Winston hope to rearrange Cece’s arranged marriage. Relive all 25 outrageous episodes featuring guest stars like Jamie Lee Curtis, Rob Reiner and Dennis Farina, and enjoy fun bonus material — including the extended version of the hugely popular “Virgins” episode — only available on the DVD. There’s no better excuse for a vacation than a special friend-iversary. Hop in the car with your BFF and hit the road towards whatever destination you’ve been dying to visit. Be sure to stock the car with your favorite snack foods and lots of CD’s full of songs that the two of you have jammed to over the years. There’s no need to worry about being stuck in the car for hours upon hours, because you and your best friend know how to make anything fun and entertaining. A friend-iversary calls for some serious celebration. Hit the town and get rip roaring drunk with your besty. This form of celebration is perfect for that best friend that you met in college, just like Nick and Schmidt, who was by your side every weekend ready to throw back a few shots. You may be a little past your weekend warrior days, but this is a special occasion! With drinks in hand, there’s bound to be tons of toasts in honor of your friendship and a lot of great memories resurfacing. Nick and Schmidt really loving kicking back on the couch and watching TV. Your friend-iversary celebrations don’t have to be too crazy. After all, you have been friends for a long time and can find the fun in pretty much any activity when you’re together. Make it a night in for just the two of you. Pull out some old photo albums and let the nostalgia and sentimental feelings come flooding in. A night in will bring out all of the “I love you man” or “Girl, you’re like my sister” statements. 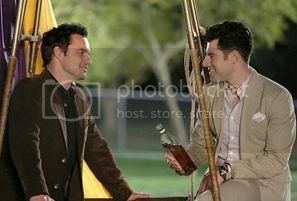 With a friendship as strong as Nick and Schmidt’s there’s nothing embarrassing about sharing your feelings. Is there something or someplace that you and your BFF used to always do together? Maybe you completely forgot about that restaurant where you used to eat breakfast every Sunday morning or that bar that you frequented for their beer specials on weeknights. In honor of your friend-iversary, make an appearance at one of your old hang out spots. As soon as you walk in the door, all of the old memories will come back to you and you’re bound to have a great time reminiscing. A friend-iversary means that the two of you have been hanging out for many, many years. Your pal probably makes you feel more comfortable than anyone else. They know everything about you and can talk sense into you when you’re being a little irrational. Maybe you both secretly want to go sky diving, eat a crazy food, or try out a new religion. If you do it together, in honor of your anniversary, then you will forget that you’re a little terrified, grossed out, or nervous. Schmidt would agree; anything is possible with your BFF by your side. My Friends and I flock to anything Coffee! We gather at coffee shops, and round the coffee pot in the kitchen. We Celebrate through, and with Coffee! We do dinner, without the kids. Usually the spouses stays home with the kids and we catch up. We would go out for lunch to have special time away from the "NORMAL" environment. We escape from our kids once a month to have tea and catch up. we usually get some drinks and listen to some good music. My friends and I have games nights every once in a while to get together and have fun. we try to get together every month or two, but life tends to get in the way . NOT REALLY .... I have some friends id like to re-connect with and coffee is always a good choice!